We are off to Charleston for a few days to play tourist. Hopefully will have lots of pics to share!! oh, I can't wait. 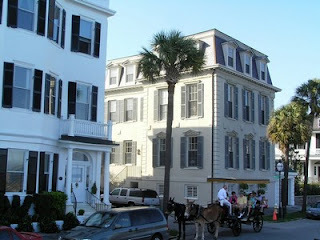 Charleston is one of the places I want to visit. Savannah is the other. oooooh, that's a beautiful picture! Lots more when you get back! I hope you do post photos-- it looks absolutely beautiful! I would love to go one day! Come back with lots of stories! I'll miss you Mel! Have a safe trip! Hope you have a fabulous time in that beautiful city! I am definately jealous. Charleston is one of the places I have never been to that I really want to see. I love charming places. Have a good time Mel! Apparently you're not back yet.